It’s not often that a real estate investing course impresses me and I would go so far to say that it’s extremely rare when the “man behind the course” impresses me too. And that’s the case with Ron and his probate real estate course. You see, I’ve been a full time real estate investor since 2002 and have bought countless courses and books and attended countless seminars and boot camps (you could say that I’m a big proponent to investing in your education . . . being that I’ve spent tens of thousands of dollars to get mine). Anyway, back to the subject at hand . . . which is Ron’s probate real estate course. Probate has always been shrouded with mystery to me. I’ve never known a probate real estate investor and haven’t had a good source of reliable information . . . BUT it’s always been on my mind as a potentially killer way to find great deals. Hmmmm . . . I don’t either . . . until now. That makes a big whopping one! Do you smell the opportunity here . . . I sure do! When I was talking to Ron the other day, I was literally AMAZED when he told me there were just as many probate deals out there right now as foreclosures. Everyone and their mother is going after foreclosure deals. I think I figured out why NO ONE is talking about probate real estate as an incredible easy way to find great deals . . . the few investors that have it all figured out are keeping it a secret! They don’t want the crazy competition that exists in other lead sources . 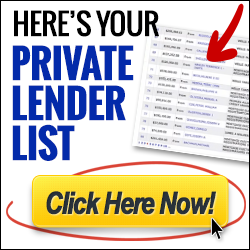 . . REOs, short sales, preforeclosures . . . you name it! So, here’s what I’ve done. I shot a quick video to “pull back the curtain” on probate real estate and show you what’s included in Ron’s course and the incredible steal you can get on it for the time being . . . Personally, I don’t know why Ron priced his course soooo ridiculously low. For the value that he’s providing, the professional touch, the personal service . . . it’s beyond me. If you’re interested in learning the secrets to investing in probate real estate (from a man that bought his first property before I was born! . . . that’s right . . . Ron bought his first property a year before I was born in 1979), his course is an absolute steal. I wouldn’t be telling you about it otherwise. And to top it all off . . . Ron is a rock solid good to the core human being. That did it for me! 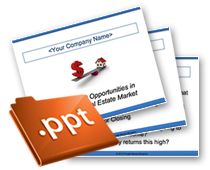 Click here to join me in probate real estate profits! When you head over to his site to check it out, he gives you a couple options, but the BEST DEAL is his “31 Days to Profits DVD Seminar in a Box”. That’s what I showed you in the video. If you have any further questions about Ron or his course, shoot me an email at patrick [at] mustknowinvesting [dot] com. Greetings Patrick, Thank you for previewing Ron’s materials and such. I reside in Lee County Florida and I’m wondering if you know of anyone in this area who has purchased Ron’s course ? I’m very much interested in exploring Probate Real Estate as my background in being a licensed Real Property Title Examiner will help immensely when it comes to the research aspect. I’m going through some personal and financial struggles and see this as a grand opportunity. I’m not sure about someone in Lee county who has purchased his course. Although I know Ron has students across the country. Just so you know … I give Ron’s course my highest recommendation. It’s simple, inexpensive, and it works. And the biggest benefit of all … Ron makes himself completely available to his students. When you call his office, 9 times out of 10, he or his wife (his darling bride Sharon as he calls her) picks up the phone. A rare thing in this business. I’m going to check this out. I’m sick of short sales, banks, loss mitigation “experts”, and hinging on all of these people.. As you said real estate agents don’t get our models as investors, and some of these banks literally force us to deal with them.. I’m still pretty young and noticed grey hair in my beard a few days ago. I’m done. DONE! My question to you is, is this a “step by step guide” for rookies, or is it going to be easy to capture the essence of it and develop a business model around it. I’ve gotten a few of these things in the past (like the majority of us) and got excited just to pull my head out of the book to look around at my market and notice it doesn’t fit. Like Nathan Jerwitz (or whatever) and his give the bank an option contract in place of a far bar as is. What I’m looking for is the constants in probate real estate investing. So really what my question is here is… How much of this is his particular business model, and how much of it is general, or does his model fit as a general mold? Also I am a 100% direct mail guy. I really wanna know what that stamp is.